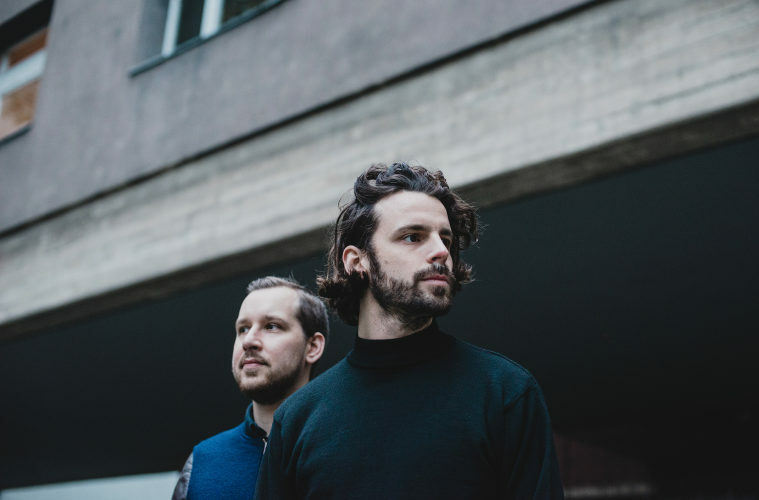 Delicate, spacious and fluid are some of the words that describe the music of Dutch producers Robin Koek and Nick Lapien aka Artefakt. The duo has had a steady stream of releases on labels like Field, Delsin and Tikita since their first release in 2012, but it is over a decade ago that their love for “melancholic, hypnotic voodoo music”, as they put it, brought them together. They invited us to their studio in Berlin to introduce us to the vision behind their new label De Stijl, discuss different working methods and how their collaboration has evolved since their first jams in an analogue studio in Rotterdam. First of all, how did you two get to know each other? Robin Koek: We know each other from university, where we studied music technology. We graduated seven years ago, so we have actually known each other for eleven years now! The university was in Hilversum, the “media capital” of The Netherlands, but otherwise just an extremely boring small town. That can be very good for studying though? Nick Lapien: There was nothing to do, so there was zero distraction. In the third year we did an internship in an analogue studio in Rotterdam, called WORM. When we were done with our tasks for the internship, we would just jam in the studio there and make some music together, which was based on analog synthesis and tape recordings. How did your collaboration evolve from there? N: We had a very similar taste in music – we were both really into ambient, IDM and techno. So we made a lot of sketches, and at some point all the pieces just came together. R: In the beginning our way of working was a bit more divided than today. I came from a sound design background, whereas Nick came from composition. So I was focusing more on the sounds, and learned a lot from Nick about how to compose. N: Yes, you were more on the micro level. N: And you never had sketches that were longer than forty seconds. R: I wasn’t very good at making a structure. Earlier today you posted a photo from your studio saying that you are working on a very special project. Can you tell us more? N: Yes! We are working on a double EP that is going to be released on Semantica next April. Interesting! Where in the process are you? R: We are actually rounding up right now. We are not sure about the track order yet, but I think Enrique [Mena aka Svreca, Semantica’s label head] already has something in mind. And actually it’s nice to have someone from outside taking that decision. N: It’s the same when we work with Delsin. It’s very helpful to have a third pair of ears, and we really trust their feedback. I also heard some rumors that a new LP is coming. N: Yes, but that is a very slow process. Our main focus right now is on the launch of our own label, De Stijl. R: This has been cooking for a very long time, and now it is finally happening. Exciting! I expect that the philosophy of De Stijl, the art movement founded in the Netherlands in 1917, was an inspiration for you in the process of starting the label? R: Yes, inspiration from this movement is informing the label in different ways. In some sense the music, as an essential principle of the movement at its foundation was finding expression in the abstraction of form and color. We have a similar aspect that lives in the creation of our music, where we often work with an existing sound and abstract its timbral and textural qualities to express a new idea or structure. It also affects some of the design choices in the visual framework of the label. We avoided making any clear reference as we thought this would be too obvious, but we did adhere to some of the underlying design principles of De Stijl in the layout, based on suggestions by the graphic designer we work with, Lizzy Onck. N: We are taking care of the visual elements, the layout as well as the sound, and it’s really nice to work on the whole package. Normally we have to adapt to the labels we are releasing on, but now we have it more in our own hands. What is your vision with the label? N: Through curation of both music and the visual aspect we want to provide the audience a new entry point to our work. We will use the label to explore some elements of our sound in more depth and also feature affiliated projects and organize events within the scope of the label. N: Early next year. The first release will be an EP from Artefakt. Then, in spring, there will be one by me as Rhine, and in the autumn one by Robin with his moniker Cyspe. So the goal is to have three releases a year. We will also invite some close friends for releases, people that fit sound wise. What are your working methods in the studio? R: Currently we try to shake it up a little, and try different approaches as we have some established methods that we acquired through the years. As we keep evolving in our sound we are invested in innovating our practice. N: Often we start with a core idea, like a single groove, a melodic outline or a sketch that one of us made. This then evolves and gets its own life once we treat it together in the studio and start working in layers surrounding and stemming from the initial idea. R: At times we have a jam-perspective where the complete studio is wired up and all machines are running in sync. Then the music is generated on the spot in all elements. We have a jam for two hours around an idea, listen through it and cut out the parts we like. Then we built up tracks around those excerpts. N: One of the tracks on the upcoming Semantica record was actually made like this. We always try to find new ways. This could be using irregular sound sources like field recordings as a starting point for a composition. Sometimes we just take a very short element, like the sound of a falling drop of water. Then one can extract the rhythm from that short recording and use it as a staring point. It’s a very organic way of creating new material. I experience your productions as very spacious and visual, it makes my mind travel. Is this a feedback you often get? R: Yes, we have heard that from others too. It is always nice to hear if the music one is making makes it possible to create a portal for the listener to escape from reality. N: Often, once a track is taking shape, we listen to it while watching videos of trains going through the countryside filmed from the train driver’s perspective. Or now for the double EP we looked at visual poems from the 1920s and 30s. We look at it when listening, and then it feeds back into the music. R: Actually, we are also working on an AV show. But this is more of a project on the long run. It came to mind during a project we did recently, where we scored a film live. We thought it could be interesting to approach this with unique visual content, which is created with our music. A year ago we also worked with the visual artists collective Deframe on an AV-show. This worked really well as they also feel the aesthetic of our music and combine digital and analogue techniques in the process, which connects to our music. Finally, what were the last records that stuck to your minds? R: For me it was Forest Drive West’s album Apparations, which he recently released on Livity Sound. It has a hybrid aesthetic, but it still has a coherency. And he really has a signature sound, which is very important. N: Last week a few friends from Ukraine visited, and they brought a remarkable record by the Moscow Chamber Choir singing Rachmaninow’s Liturgy of St John Chrysostom, Op. 31.